I often use Protein Powder as an quick, high protein meal replacement. Healthy and full of Protein. 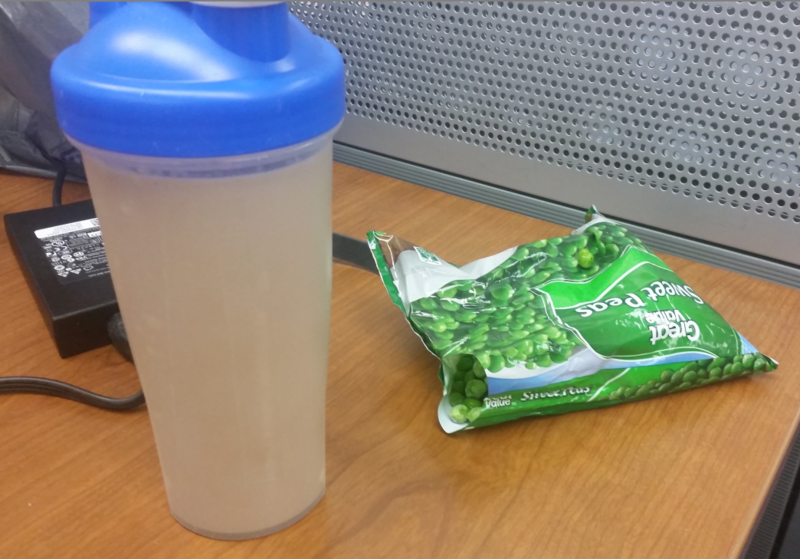 Think of it nutritionally like eating a few chicken legs with veggies on the side. Depending on who you buy from, it can be a better value than chicken or far worse. 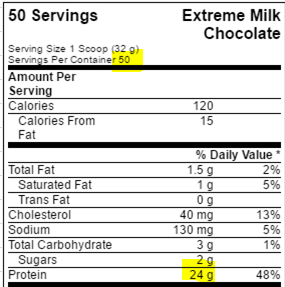 We take the servings in a container, multiply that by the protein per serving, then divide that by the after tax cost. Hate to drop a referral, but MyProtein has a 25% off for new customers. That would make it 66g Protein Per Dollar. Buy in Bulk, better Protein Per Dollar and save on shipping costs. There is a HUGE range of Protein Per Dollar. Make sure you know what you are buying. I suggest trying a smaller size first, otherwise you might end up with an unfavorable tasting mix. I usually pick Unflavored or Chocolate. Not on that list? It’s probably more expensive than a protein shake. Or click here for the Protein Per Dollar List. 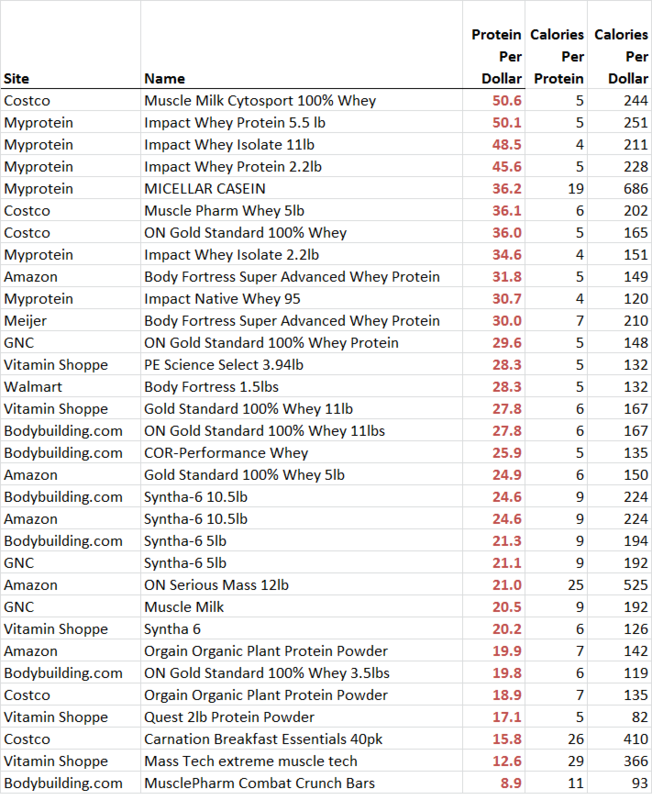 If you haven’t used protein from Costco or MyProtein – give it a try.